Hat Nai Phlao is Khanom’s largest beach and the most popular tourist attraction. The beach curves along a mountain range. The overall scenery is one that features perfect nature, including a clean, white beach conducive to a day in the sun. Accommodation and restaurant facilities are available. Hat Na Dan is a long, palm-fringed white beach. From this quiet beach, one can see the beautiful aquamarine water of the Gulf of Thailand. Hat Nai Praet is a beautiful, long curved beach. This beach is between Hat Na Dan and Hat Nai Phlao and is rocky in some areas. This popular beach’s natural ambience has been impressing visitors for years. 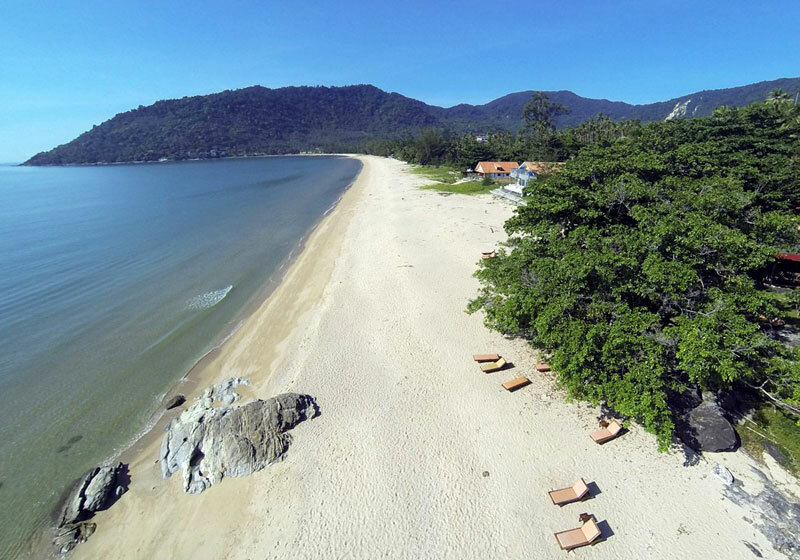 Short Description: Ao Khanom is the largest bay in Khanom District, featuring a series of beautiful beaches such as Hat Na Dan, Hat Nai Praet and Hat Nai Phlao, which is Khanom's largest and the most popular beach. It curves along a mountain range, featuring beautiful scenery and clear water.